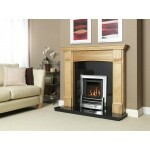 At Total Fireplaces we specialise in selling Gas Fires manufactured in the UK. 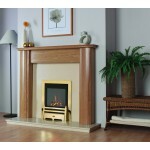 If you have a class 1 chimney, a class 2 prefabricated or pre cast flue we have a model of gas fire suitable for you. Also because we manufacture your fireplace for you quite often you can have a deep multi flue fire due to the way we make your fireplace. If you don't have a chimney or flue its not a problem either because we supply a range of Balanced Flue Gas Fires that don't require one. 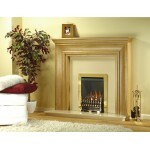 The gas fires we sell are the most efficient on the market with a choice of open fronted or glass fronted you can save money on your gas bill with either option. 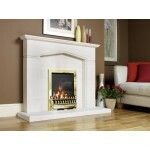 For added peace of mind the gas fires we sell all come with manufacturers extended warranties for free. Please remember all gas fires must be installed by a qualified competent gas safe registered engineer that carries out all the necessery tests to ensure the fire is installed correctly and safely. 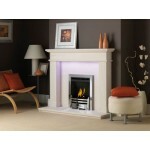 Based on our most popular..
Paragon Focos HE Gas Fire. 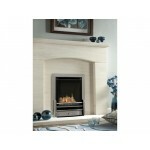 **Showroom Exclusive Product** - Please Visit Our Showroom T..
With a net efficiency of ..
Paragon Focos HE Slimline Gas Fire. **Showroom Exclusive Product** - Please Visit Our S.. 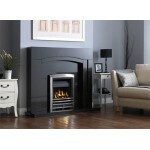 The Kinder Camber HE Glass Fronted contemporary living flame gas fire's is stylish and minim..
Paragon Focos HE Multi Flue Gas Fire. **Showroom Exclusive Product** - Please Visit Our.. 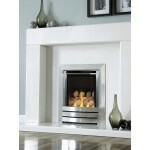 The Nevada HE is a slimli..
Paragon Convector P1 One Gas Fire. **Showroom Exclusive Product** - Please Visit Our Sh..